This recipe is a classic that has been around for a while, but it’s still a favorite that is perfect for the colder winter months — or any time of year! 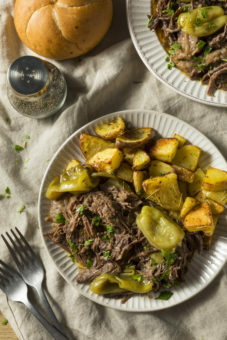 Place chuck roast in a slow cooker. Top with a stick of butter. Sprinkle dressing mix and seasoning mix over top. Add pepperoncini peppers, if you wish. Cook on low setting in a slow cooker for six to seven hours or until the roast is fork-tender and pulls apart easily. Do you have a great recipe? Please share. Just email a copy to communications@svec-coop.com.